In mid-September the Board officers met and set out our program for the coming year. We reviewed the FY ’18 budget to ensure not only fiscal responsibility, but that all five goals of the District’s Strategic Plan are being supported (student initiatives, career development, technical excellence, social/networking, and promoting the profession). Among the initiatives for this year is a review of Committee Chair duties for several of our committees. Over the years the way our Committee Chairs perform their responsibilities has changed, sometimes leading to more work instead of less. We want to make sure that the work is balanced and equitable, and provide support where needed. This year the Board will continue our focus on increasing our levels of engagement with our members, including how the Board interacts with the Sections and Chapters, and how members engage with one another. Throughout the year the Western District communicates with our members in several ways, including social media such as Twitter and Facebook; electronic media such as the E-News, the ITE International Community, and our website westernite.org; and traditional media with our bi-annual printed editions of WesternITE. But of course, there is no substitution for meeting people in person. Since our Annual Meeting this past June in San Diego, our Board have attended several Section meetings, the Idaho Chapter Annual Conference, and visited with Student Chapters. This month’s E-News features an article by International Director Karen Aspelin on ITE Advocacy Guidelines, with guidance for the District, Sections and Chapters. We are also putting out our annual call for candidates for Secretary-Treasurer and International Director to run in the June 2018 election, as well as nominations for Individual and Lifetime Achievement Awards; see the article by Past President Cathy Leong. And for the first time, the Western District Student Leadership Summit will be held outside of California. The fifth annual SLS will be held at Oregon State University in January 2018. See the article by Kayla Fleskes, OSU ITE President, for more information. 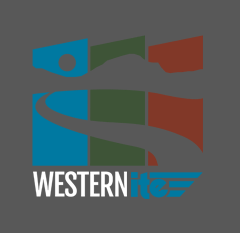 We’re looking forward to another great year for ITE as we make our way to the 2018 Joint Western District/TexITE Annual Meeting in Keystone, CO!